On this cold winter’s morning in usually warm North Carolina, as I slog through the second round of edits for the upcoming, Into the Wind, I thought I’d share a bit of the writing process seen through this writer’s eyes. I’ll blog about the process as I experience it, and not in any particular order, but so you, the reader, can get a sense of what it’s all about. feel like forever from the inception of a book until I see it in print. In truth, though, it’s usually less than a year from the time I write the first word until I hold that paperback author copy in my greedy little hands! The editing process itself takes about 4 months from first edits to release. I am particularly fortunate to have a great executive editor I work with on my Dreamspinner Press books. It’s one of the reasons I haven’t looked any further than Dreamspinner when shopping my books around (there are many other reasons I continue to choose Dreamspinner, of course, but this is one of the biggest for me). The executive editor manages teams of editors who read and edit manuscripts before publication. What does that mean for me, the writer? Round 1. First, the main/supervising editor sends me a marked up manuscript. I call this the “ouch!” stage. Starting out, I remember looking at my manuscripts with all the markups and wincing. I’ve since learned that all those tracked changes and comments in the margin are good for me! We’re talking basic copy editing, but much, much more. 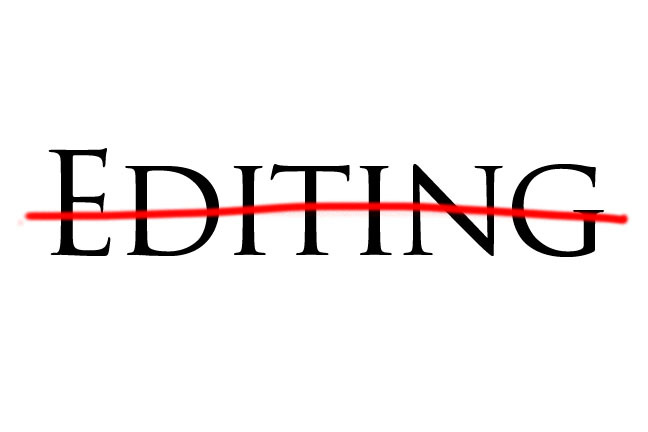 Then there’s dreaded “content editing” I’ve come to depend upon (and even enjoy). That’s the “I didn’t understand why [insert character name here] did this.” Or the, “I think you’re missing a connection here in this character’s development.” Or the, “This makes no sense at all!” Let me give you an example. that Cary was nowhere near father material at the beginning of the story, but by the end he truly becomes a father to Massimo. My editor’s suggestion? A brand new chapter showing how Cary finally steps up to the plate. And Massi isn’t exactly in cute/sweet mode. That chapter, written during edits, became my favorite of the book. Massi has a hissy fit, Cary puts his foot down, and Massi is not a happy camper. But at the end of the chapter, Massi and Cary move into father/son territory. That’s not the first (or last) time I’ve added significantly to a book during edits, but it’s one of the best examples of how helpful an editor’s suggestions were. Galley Proof. For those who may not know, the galley is a mock-up of what the actual book will look like including photos, fancy chapter headings, and even front and back matter (glossaries, dedications, that sort of thing). At this stage, it’s all about catching the obvious typos that we’ve missed and making sure the formatting looks all right. No changes made in the galley itself, I write my changes in a separate document (I use a chart with page numbers, original text, and suggested corrected text). At this point, it’s out of my hands. I don’t see the book again until it’s published, although the editing staff do at least one more check after that. I personally review my galley proofs by reading the book on screen and listening to it on my Kindle at the same time (I can upload Word docs to my Kindle, which has a text-to-speech feature). As a former musician, I find I catch typos better if I listen and read, rather than just read. 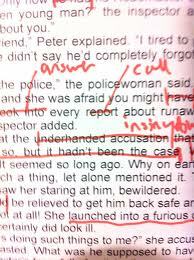 A good editor can help a willing writer improve his/her style of writing. I say “willing,” because if a writer is so convinced s/he doesn’t need improvement, forget about it! I’m convinced my writing style has changed for the better with my editors’ help. Style is not just about comma placement or sentence structure, either. It’s about finding a personal “voice” in writing that suits the writer. I prefer clean, clear, crisp writing. Active voice, simple or no dialogue tags so they don’t get in the way of the conversations between characters. I’ve refined my style with the help of my editors. 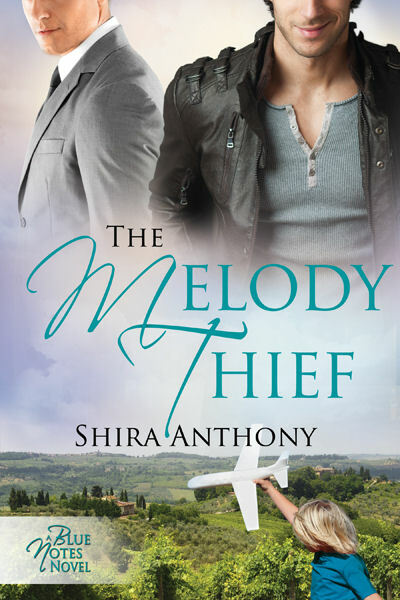 Pick up a Shira Anthony book written in the last two+ years, and you’ll hear my voice, whether it’s a story about musicians in Italy or mermen in an alternate universe fantasy. It sounds like Shira. Lest you think editing is all roses, think again. Editing takes hours of work, both on the editors’ part, as well as mine. Writing entirely new chapters while you’re trying to get your latest manuscript out the door (Dissonance and Into the Wind, *cough, cough*)? Hair tearing-out time! Rewriting an entire chapter from a different point of view because your editor (and you, begrudgingly agree) suggests it will help balance the different points of view in the book? Time to bang your head against the wall. Readers who say they love how easy to read your books are? Yep. Makes it worth all the angst, thinning hair, and head-dents. Truly. Taren transformed as he entered the warm tropical water with a splash. He’d grabbed an ax as he’d run, ignoring Ian’s shouts. He didn’t need Ian to tell him about the danger. There’d been no time to argue over the danger involved in attacking the brigantine from below. But if this worked…. He’d barely caught his breath when he had to dive deep to avoid a deadly blow to the head from the enemy ship’s keel as she passed over him. Pumping his powerful tail, he swam after the Phantom’s challenger. He knew Ian would be angry with him for taking such a risk—he could almost feel that anger burn hot within his own heart. He’d face Ian’s wrath later. Had the Ea become so complacent in their human forms that they’d forgotten what they were? Taren prayed once more that the winds would shift. 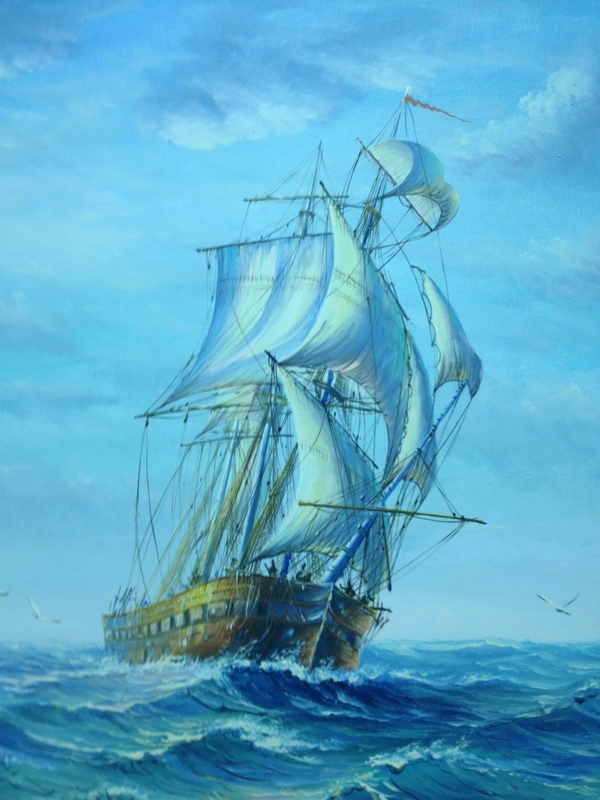 If the Phantom could gain some speed, he had faith their ship could outmaneuver the humans even with the damage to the mizzen—Barra, their navigator, knew these waters well, knew the reefs well enough to navigate between them, whereas the humans might not. If he isn’t too badly hurt. Even though his connection to Ian had grown stronger since Taren had come to live among his people, he could only sense that Ian was alive, nothing more. “A hit, sir!” one of the men shouted over the howling wind.